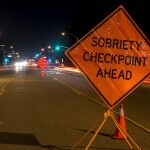 In California, a field sobriety test (FST) is often the central piece of evidence against a defendant accused of driving under the influence (DUI). Field sobriety tests are notoriously flawed; all kinds of factors can influence FSTs and their results. 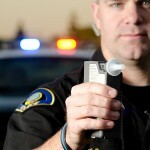 If you’ve been charged in California with DUI, challenging the results of your FST may be an effective defense option. An FST routinely combines three separate tests: the horizontal gaze nystagmus (HGN) test, the walk-and-turn, and the one-leg stand. The HGN test is the one where the officer uses a pen or fingertip, moving it from back and forth while watching your eyes. This HGN test ostensibly determines if your eyes can follow an object without jerky or unnatural eye movement. The walk-and-turn test is walking in a straight line, heel-to-toe, turning on one foot, and walking back. A police officer will suspect you if you lose your balance, sway as you walk, or take too much time. In the one-leg stand test, the officer is also looking at your balance. These tests are routinely challenged as unreliable in California courts; studies have shown that the tests are not dependably reliable in determining intoxication. If you’ve been arrested for DUI in southern California based on a field sobriety test, speak promptly with an experienced Orange County DUI defense attorney. A good DUI defense lawyer may, for example, challenge the way the test was conducted; FSTs must be performed according to guidelines set by the National Highway Traffic Safety Administration. When an FST test is a central piece of evidence against you, an experienced DUI defense attorney will also determine if you suffer or suffered from an inner ear infection or neurological or muscular disorder that could make an FST unreliable. DUI defense attorneys almost universally recommend that you politely refuse to submit to a field sobriety test; it’s your right. 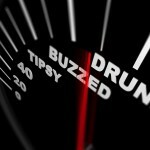 If you face a DUI charge in California – whether or not an FST is conducted – get the legal help you need and contact an experienced DUI defense attorney as quickly as possible.